ASME B30.5 is one of ASME's most requested safety standards-widely respected and applied throughout the building and construction industry. 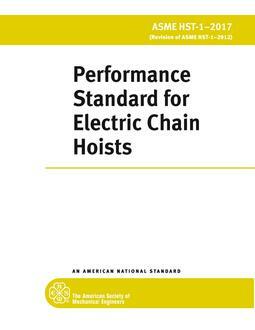 It addresses crawler cranes, locomotive cranes, wheel-mounted cranes, and any variations thereof that retain the same fundamental characteristics and are powered by internal combustion engines or electric motors. 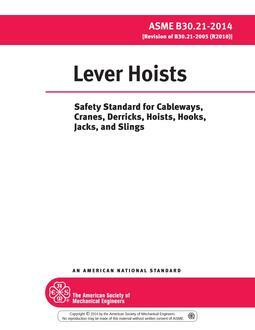 The scope of this Safety Standard includes only cranes of the above types that are powered by internal combustion engines or electric motors. Side boom tractors and cranes designed for railway and automobile wreck clearance, digger derricks, cranes manufactured specifically for, or when used for, energized electrical line service, knuckle boom, trolley boom cranes, and cranes having a maximum rated capacity of one ton or less are excluded. 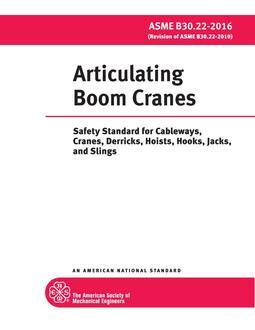 This 2018 edition revises the Crane Operation in the Vicinity of Electric Power Lines section entirely, adds a new section on Rigger Responsibilities, and incorporates other miscellaneous revisions. B30.5 offers comprehensive solutions applying to the construction, inspection, testing, maintenance and operation of mobile and locomotive cranes. It is to be used in conjunction with equipment described in other volumes of the ASME B30 series of safety standards. 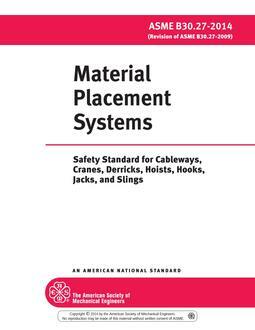 Careful application of these B30 safety standards will help users to comply with applicable regulations within their jurisdictions, while achieving the operational and safety benefits to be gained from the many industry best-practices detailed in these volumes. 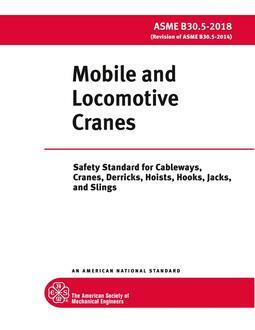 Intended for manufacturers, owners, employers, users and others concerned with the specification, buying, maintenance, training and safe use of mobile and locomotive cranes with B30 equipment, plus all potential governing entities.